Asian ride-hailing giant Grab has launched what may be its most aggressive campaign against the competition in Singapore. 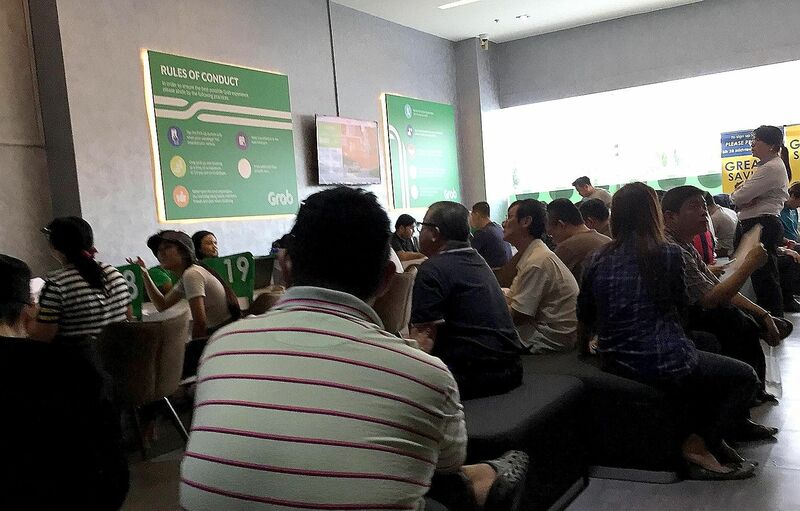 In a text message targeted at ComfortDelGro cabbies on Sunday night, Grab dangled a rental discount of more than 40 per cent to those willing to defect to any of the other taxi companies - all of which use the Grab hailing platform. "Dear Comfort Cabbie, HUGE Rental Discount deals from 4-15 Sept," the message read. "$50 rental discount PER DAY, if you switch your taxi rental over to any of our taxi-fleet partners (TransCab, Prime, SMRT, Premier). No targets. No questions asked." The discount - about $1,500 a month - amounts to more than 40 per cent for Comfort cabbies who drive the Hyundai i40. Grab said those who switch to a private-hire car will get an even bigger discount: $1,688 a month. The salvo came a week after ComfortDelGro - Singapore's largest cab company - announced that it was in exclusive talks with American ride-hailing company Uber about a possible tie-up. It also followed days after Grab secured fresh funds, including an undisclosed tranche from Toyota Motor. The Malaysian start-up's offer drew scores of ComfortDelGro cabbies to its Sin Ming office yesterday. When The Straits Times checked, the office was packed, and there were about 30 Comfort and CityCab taxis parked outside. At about 2.50pm, the queue number was at 473, while the 16 counters were serving up to the 280th inquirer. A Comfort cabby in his late 30s, who asked not to be identified, said he wanted to know more about the offer. "My income has fallen. Last year, I was making around $150 a day net. Now, I take home about $100, and on many days, $80." Part of his income drop is attributed to the 30 per cent rise in rent when he had to switch from an ageing Hyundai Sonata to a new Hyundai i40. "Who knows? Maybe after this, Comfort will lower its rental, and I won't have to switch," he said. Cabby Alan Soh, 42, is more wary of Grab's offer. "What are the terms and conditions? Previously, when Trans-Cab had a similar offer, the terms and conditions were not favourable." Mr Soh, a cabby for 10 years, has driven only for ComfortDelGro. Another Comfort cabby, Mr Chew Hock Lay, 71, said: "I don't think the offer can be so good. It is just short term. I have been driving with Comfort for over 20 years. I am a retiree, so I am happy to make around $50 a day. If I was not happy, I would have left already." National Taxi Association executive adviser Ang Hin Kee said: "It is good that a competitive scene is evolving whereby rentals can be determined between strong competitors." But Mr Ang, also a labour Member of Parliament, cautioned against cartel-like behaviour. Whatever alliance or partnership emerges, drivers and commuters should not be "forced to choose only one and not the other", he said. Neither ComfortDelGro nor Grab was available for comment. Competition in the taxi and private-hire industry is hotting up, with operators battling each other to retain drivers as their cumulative fleet size approaches 80,000 - three times what it was just four years ago. As of June this year, ComfortDelGro's fleet size had shrunk to 15,556, a 7 per cent decline since 2013, the year Uber and Grab entered Singapore. ComfortDelGro's share price closed five cents lower at $2.24 yesterday.